German creative agency, SCHACHZUG, has partnered with EMOTIV to create an emotional intelligence showcase for Volkswagen AG. 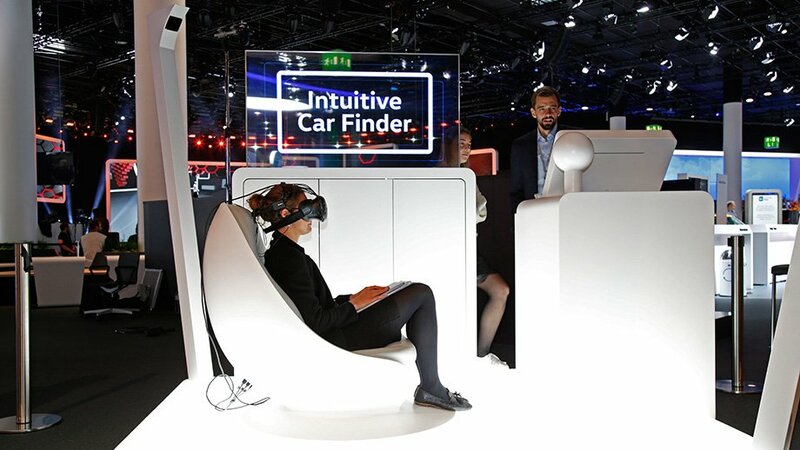 In this activation, called the “Intuitive Car Finder”, a user’s subconscious mind meets their preferred vehicle and color choice. The experience leveraged VR to immerse users in emotional scenes, serving as neural stimuli while simultaneous EEG tracking with the EPOC+ measured brain responses. An AI algorithm then assigns the emotional perception to a suitable model. Once calculated, the users see in 3D which vehicle their subconscious preferences chose and in which color. The experience debuted at the International Motor Show Germany (IAA) in Frankfurt last year, and for many participants who came to the event with a car in mind, the Intuitive Car Finder often confirmed that the model suits the subconscious wishes and needs of those interested. After its success in Frankfurt, the Intuitive Car Finder was also presented at the Motor Show in Tokyo and will continue to be showcased in Geneva in March for the International Automobile Conference.